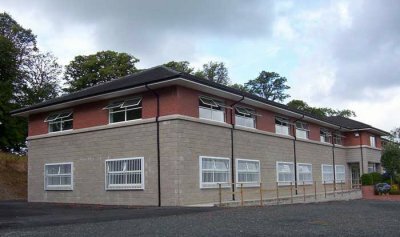 This project was completed for Accutron Ltd., who work in the IT sector and BMCC Construction were engaged to extend their office unit by a total of 750m². The new building consists of two floors with the ground floor area including unit assembly and manufacturing areas, staff facilities, storage areas, lift and stair case to 1st floor. The first floor consists of office space, staff facilities and kitchen. The total internal floor area of this development is 670m².